Horslips were a 1970s Celtic rock band famous for performances of songs based on traditional Irish jigs and reels. Their sound was completed by fusing this traditional sound with 70s rock music. They took their name from the ‘Four Horsemen of the Apocalypse’ which they shortened to Horslips. They formed in 1970 and were together for a decade, during which time they were one of Ireland’s most prominent rock bands. Although they were successful and widely acclaimed in the 1970s, they received even greater appreciation in the years after they split for the role they played in Irish music. They are looked back on as the ‘Founding Fathers of Celtic Rock’ and have inspired and influenced several more recent artists. They are now one of the defining bands of the Celtic rock genre. It was perhaps a happy accident that Horslips ever became a band at all. Founding members Barry Devlin, Eamon Carr and Charles O’Connor were workmates at the Gerry Maher Graphics Company in Dublin. 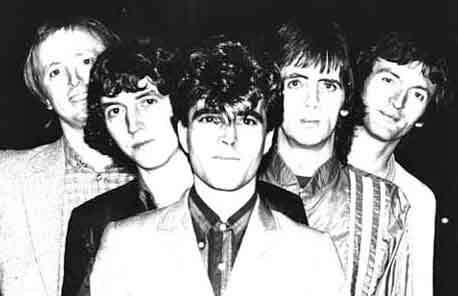 The company was working on an advert for Harp lager and Devlin, Carr and O’Connor had to play the part of a rock band with Devlin’s friend Jim Lockhart. They enjoyed it so much that it inspired them to form a band for real. They added Declan Sinnott and Gene Mulvaney to their ranks and, in 1970, Horslips was born. The band spent two years practising and performing before turning professional. They set up their own record label and released their debut single, Johnny’s Wedding. They appeared in an advert for Mirinda orange juice shortly after turning professional. It was a move that annoyed Sinnot and he left the band. He was eventually replaced by Johnny Fean. 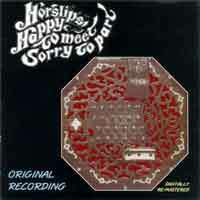 Horslips’ albums were more than simply collections of traditional or rock songs. They were concept albums based on ancient myths and legends that the band would tirelessly research. They recorded their first album, Happy to Meet, Sorry to Part, in the Rolling Stones Mobile Studio. It was a largely traditional album and featured classic Irish instruments such as the Irish Bodrhan and uillean pipes. It was released through the band’s own label and they designed the cover themselves. The sleeve folded out to form a concertina shape. It was a wonderful creative package and became the fasting selling album in Ireland for eight years. In 1973, they recorded their second album, The Tain. It was an album of music that they had written for a stage adaptation of The Tain for the Abbey theatre in Dublin. It told a 10th century Irish story about a war between Ulster and Connacht who were fighting over a prized bull. The album featured traditional and original songs. The album saw them start to add more rock elements to their sound. They enjoyed more success with the single, Dearg Doom, which reached number one in the German charts. In 1974 they continued their foray into rock music with the album, Dancehall Sweethearts. It was another hit with fans.